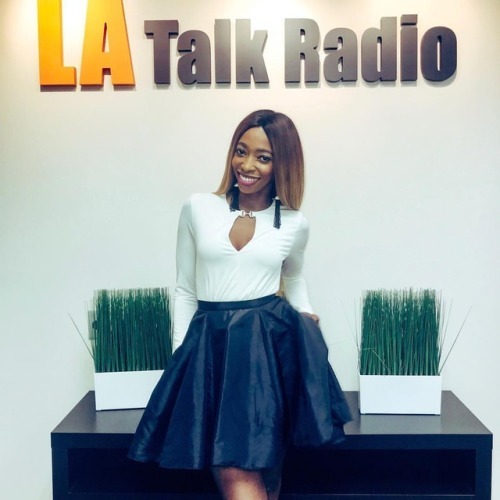 Had a blast at @latalkradio, talked about the women we work with... – Juka's Organic Co.
Had a blast at @latalkradio, talked about the women we work with in Africa, our company and the Walmart partnership. it’s a wrap! Great energy and good people. I went in there with lots of food and they loved it! Ohh the producer love the flavor of the sauce so much, she couldn’t have enough of it! She will be going to Walmart tomorrow for a jar of the Juka’s Organic Red Palm Oil Sauce lol. She carried a bowl to the parking lot too .. hope she doesn’t see this post lol. This is what it’s about for for me, it truly gives me joy to see people enjoy our red palm sauce and the rest of our products. All thanks goes to my mom for making me stay in the kitchen on Sundays to learn how to cook ‍ lol. This gave me the tenacity to perfect the sauce and it took a whole year to finally have it out. Whatever you do in life, stay the course, be patient and build up slowly nothing good comes easy or fast.